Hello beautifuls, first of all sorry for not being in action for a long time. I had some personal emergency and those of you are following my Facebook Page will know the details. 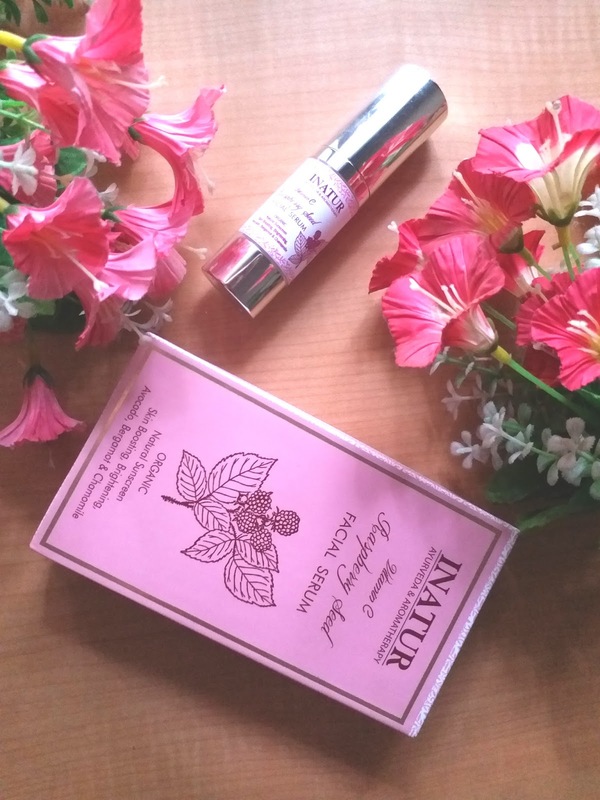 However, I am back with a bang and will be sharing my thoughts on one of the newly launched products from Inatur Herbals. 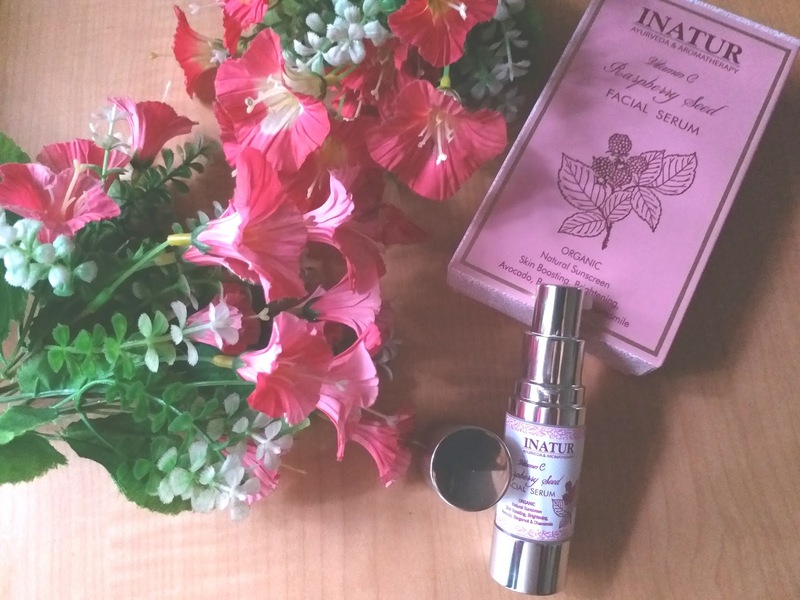 Today I will be reviewing the Inatur HerbalsVitamin C Raspberry Seed Facial Serum. It is an organic skincare product with the best content of Vitamin C and natural sunscreens. 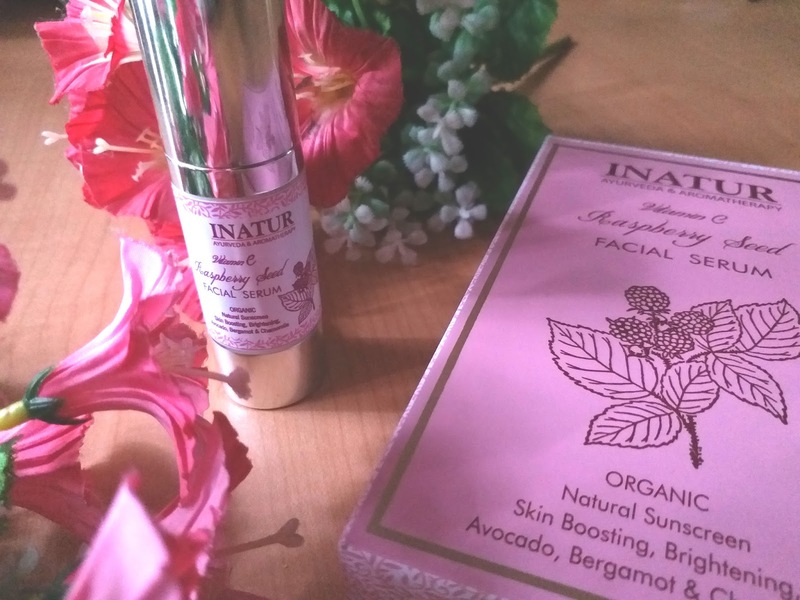 Packaging: The Inatur Herbals Vitamin C Raspberry Seed Facial Serum comes in a box packaging. The serum is bottled in a white and silver pack with a pump dispenser. My experience: Vitamin C serum is the best to tackle the issues of first signs of ageing. It is much prescribed by skin specialist during the 30s. Inatur Herbals Vitamin C Raspberry Seed Facial Serum is a powerhouse of Vitamin C with other ingredients like bergamot, avocado and chamomile for taking care of various skin related enhancements. The Raspberry seeds which is a natural source of rich Vitamin C, brightens the skin while Avocado heals dryness, bergamot hydrates the skin and chamomile soothes the skin by acting as a natural sunscreen. 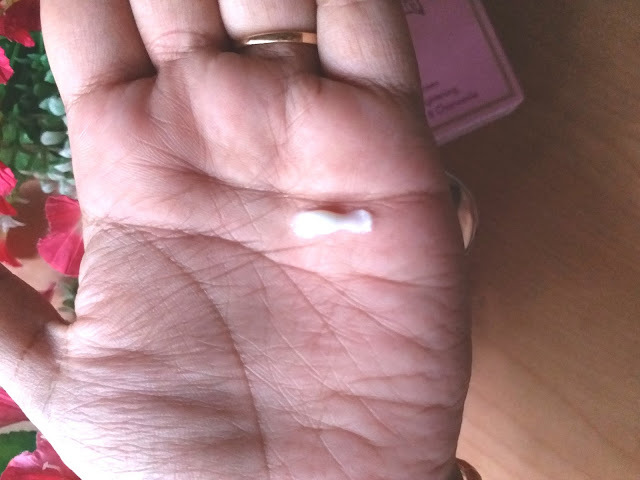 The first thing that got me addicted to this serum is its moisturizing properties. It immediately hydrates my dry skin and leaves it soft and plump. Frankly it is so moisturizing, it can be well used as a moisturizer itself. The slightly thick texture of the serum makes a single pump sufficient to nourish the facial skin. It takes some time to get absorbed into the skin. However, when it does it gives a wonderful softness to the skin. It is a great product for dry skin. Those with oil skin may find the product a bit too emollient. However, a plus point of this serum is its multiple benefits. So too much layering of products like a separate moisturizer and sunscreen is unnecessary. I can actually use the Inatur Herbals Vitamin C Raspberry Seed Facial Serum as a one-in-all skin care solution. It is a thoughtfully designed serum that can give the wearer mutiple benefit and protection. It is very difficult to find a single skincare solution that can be an answer to various skin problems and this serum is definitely a bright introduction from Inatur Herbals that can suffice in itself. Check their website here for more information.